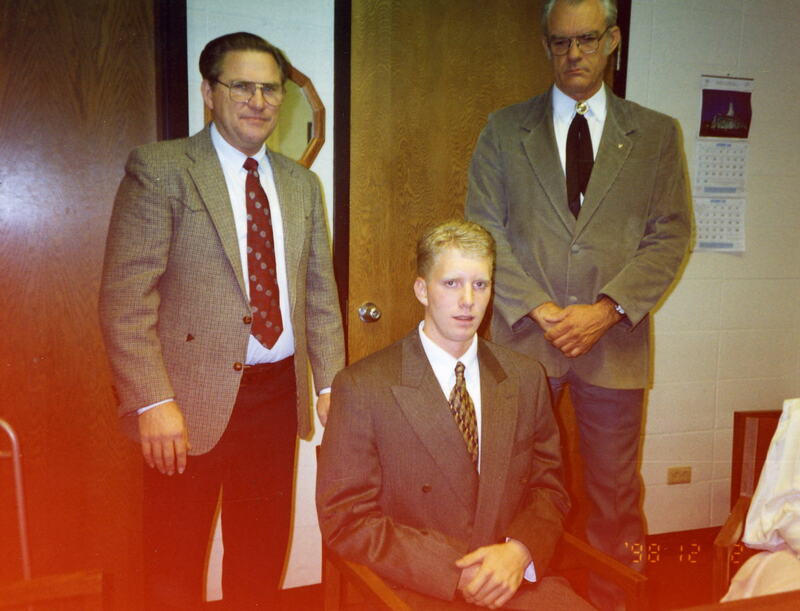 With my brother-in-law entering the Missionary Training Center (and now already left for his Carlsbad California Mission) I looked through some of the photos I have from the MTC. That morning we met with the Stake President to finalize everything before driving out to Provo, Utah, Utah. 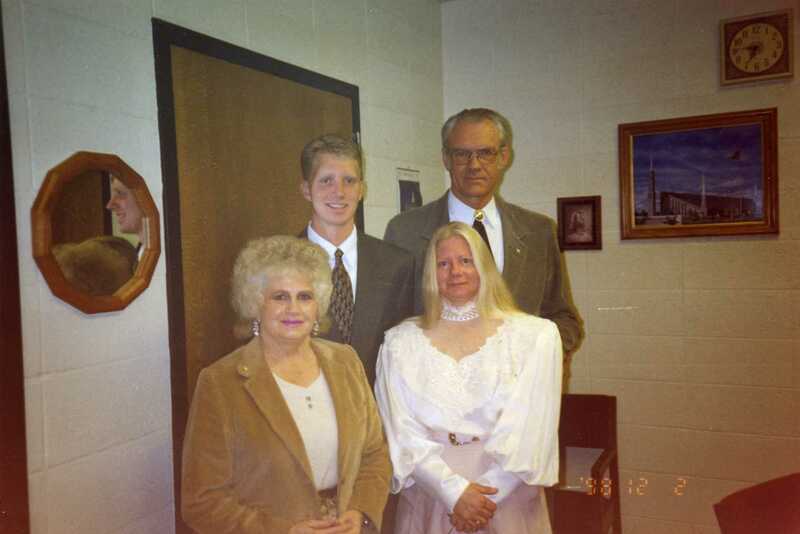 The morning to go to the MTC with Milo Ross, Colleen Lloyd, and Jackie Melycher (aunt). My Grandma particularly liked this photo because it also gives a side profile of me as well as the front. One final blessing and setting apart before leaving. The first picture is at the front doors before going in. My first companion Elder Kody Young from St. George, Washington, Utah. 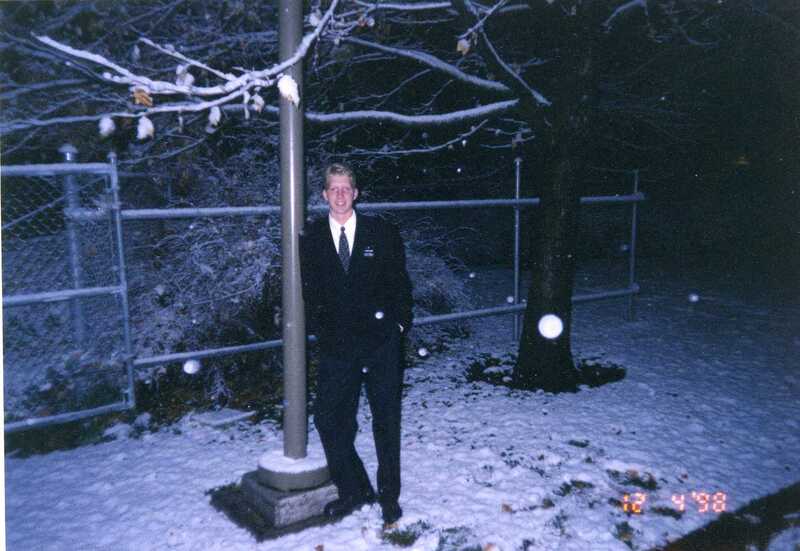 Our first snow while at the MTC. 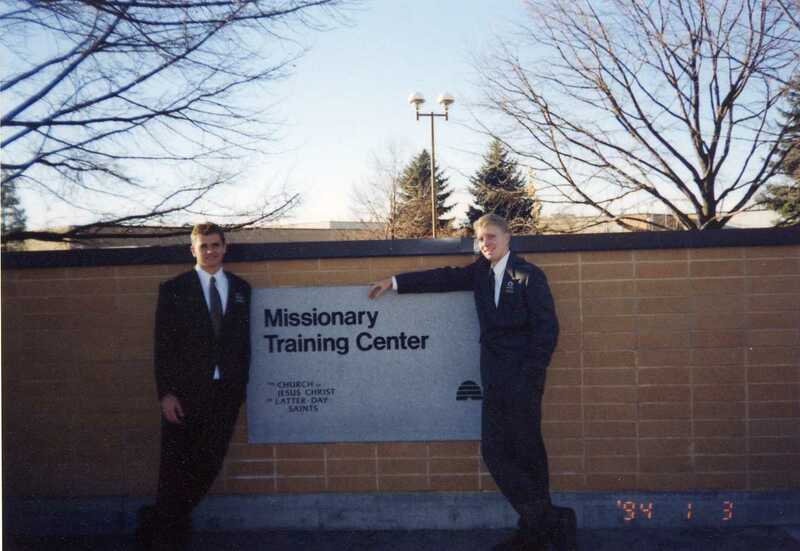 One of my most distinct memories from the MTC was the heating. I don’t know what it was, but I ended up with a bloody nose at least once a day. I was not the only one. Apparently it had something to do with the dryness of the air and the ventilation systems. It made for long days where my head was not always in the lessons but often worrying about the next nosebleed and whether I had tissues nearby. If I had to go to the bathroom, the paper towels only seemed to make the problem worse. Elder Holland came and spoke to the MTC while we were there. He insisted on the opening hymn as “Rudolph the Red-nosed Reindeer.” After we sang it, he wanted us to sing it again with the silly extra phrases we all know. It was quite a bit of fun hearing an organ play the introduction and then for us to sing along. It was also in this talk that he told us that if we had to come home before our time was up, we better come home on a stretcher. 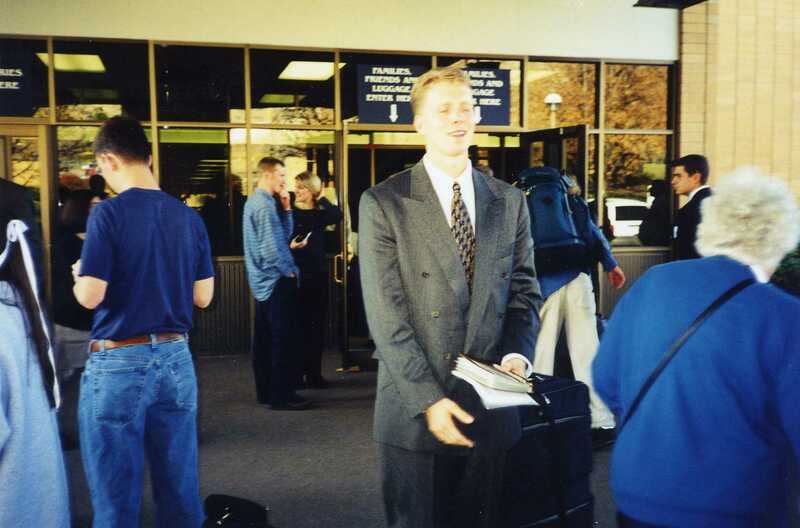 Even at the end, we should have worn out our days as missionaries. We were so close the the Christmas holidays that we regularly sang Christmas music. 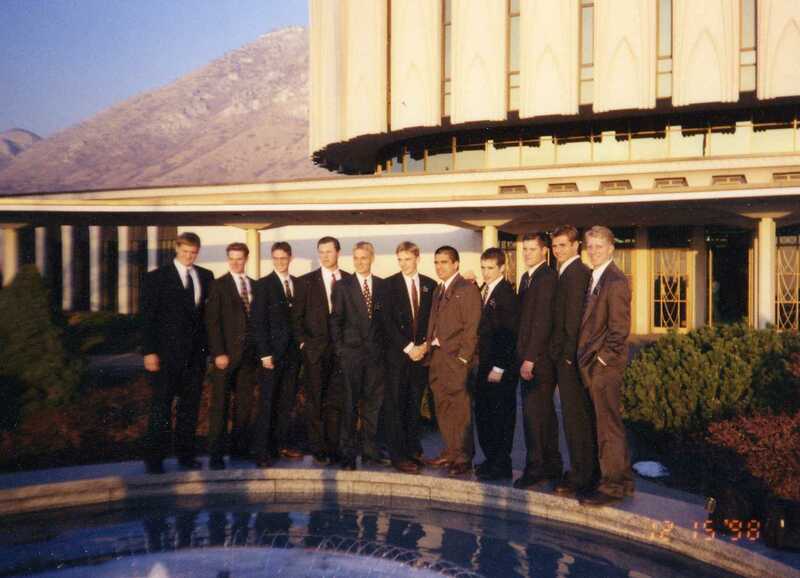 Our MTC District attending the Provo Temple. 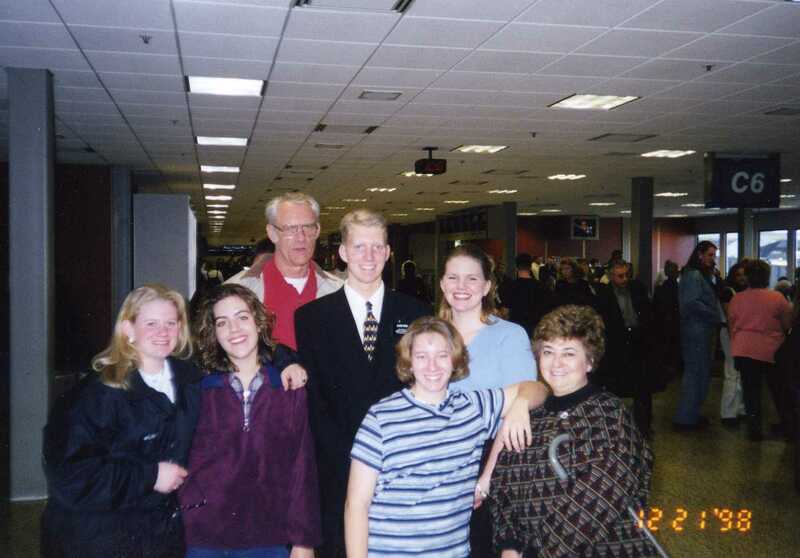 Four of us were going to England, the remaining ones were headed to Peoria, Illinois. The thing I remember most about the Provo Temple were the white escalators. Years later when I went back, they were gone! I was a bit disappointed not to see the white escalators again. Our MTC District, I only know four of the 11. From l-r, #5 is Elder Olson, #9 Elder Scow, #10 Elder Young, #11 Elder Ross. 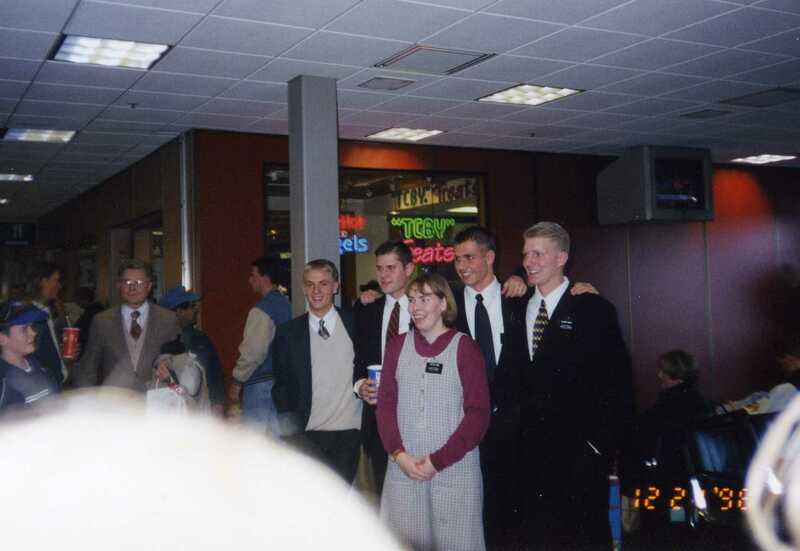 There were a few things in the MTC that disgusted and horrified me but I will not relate them here. They were not becoming of missionaries and I let them know. There were also plenty of fun and enjoyable times. 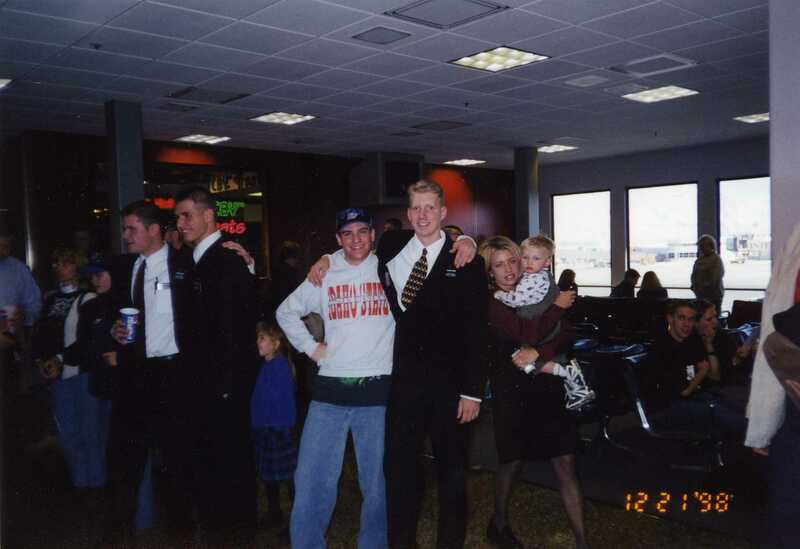 Then the five of us were flying off to Manchester, England just in time for Christmas. Some good friends and family came to see us off. More friends and family. My Sister, Dad, and Great Aunt Andra and cousin Denise, all came to share. Sadly, my Grandma was told I was leaving from the wrong gate and was not present so I did not get to see her one last time. She made it to the concourse just as the plane was about to leave and they let her send a package on the plane to me. Very good friends to come say goodbye! Maybe I can start sharing some more photos of the mission as time goes on. I should get out my journals to add some more flavor to these entries than just photos. This entry was tagged Andra, Barnes, California, Carlsbad, Dunn, England, Hansen, Illinois, Jensen, Lloyd, Manchester, McBride, Melycher, Olson, Peoria, Provo, Ross, Scow, Utah, Young. Bookmark the permalink.